The Houston Museum of Natural Science is excited to present Houston’s very own Ben Jackson performing live. Ben Jackson has worked exhaustively to craft a refreshing magic show. A proven showman in the circles of Houston entertainment, Ben is bringing his acclaimed Magic, Music, and Mayhem show to our Brown Gallery. 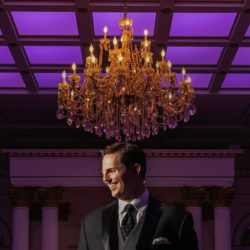 An intimate theatrical experience, this magic show makes a perfect client/staff appreciation gift, unforgettable date night or refined evening with friends and family. Wander into the beautiful Brown Gallery, cocktail in hand, and witness an unbelievable 90-minute performance mere inches from your seat. You’ll see unexplainable sleight-of-hand magic, feats of the mind, and dazzling piano playing. Seating is limited. PLEASE NOTE: This performance is strictly for attendees 12 and up. No children, please. Tickets can be purchased through Ben Jackson’s website. Looking to book Ben for your corporate event at the museum? Find out more here!